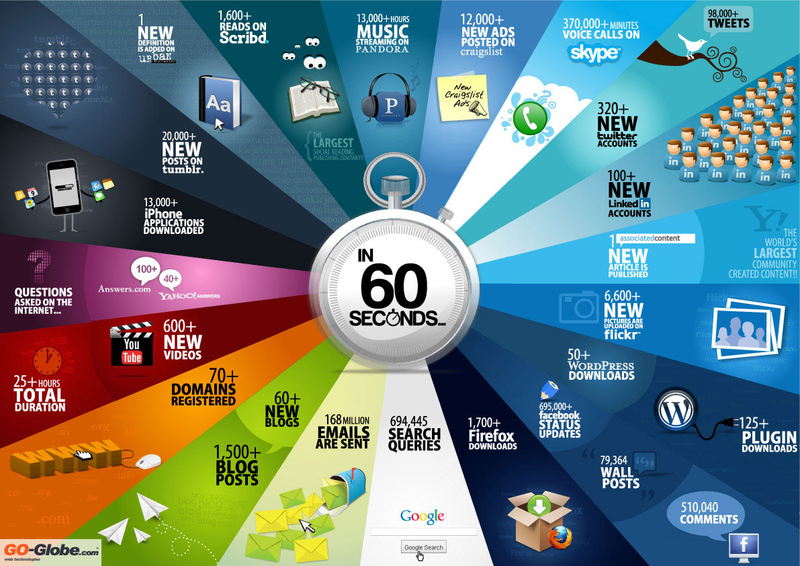 In case you missed it earlier this week (or didn't manage to see a full-size version), below is a mind-blowing infographic by Go-Globe demonstrating all of the activity that occurs on the Internet in any given minute. Take a second and look at it in detail. The amount of transactions is staggering. Click on the image to view it in full size and paste away!